Media Format: Disks of the hard, floppy and optical varieties. Apple’s Macintosh has always been the innovator; it brought the mouse driven graphical user interface to the masses removing the need for typing long, confusing and precise commands to get your computer to do anything; it gave computing the concept of what-you-see-is-what-you-get printing which revolutionised the newspaper and publishing industries; and it gave your computer a friendly face which smiled at you during start up if all was well. Despite all of this or, more correctly, because of all this, the Mac has never been much of a games platform. GUIs are, by their very nature, highly graphically demanding and so are most games. In the eighties and nineties, the hardware available just couldn’t handle running graphically intensive game on top of a GUI. Windows didn’t have this problem because until the 2000’s it wasn’t an operating system in itself but rather a GUI built on top of the ancient, text-based DOS operating system so when a game needed to use all the graphics power available it could just switch back to DOS, the Mac couldn’t do this because it was itself a complete graphical operating system. This meant the Mac lagged behind the PC as the games industry developed and, despite being perfectly capable of running demanding 3D games today, it just isn’t thought of as a games machine by the industry or the public and so few games are made for it. Perhaps the greatest reason why the Mac has never become a games machine is the fact that just when the hardware became capable, Apple repositioned itself as a chic consumer brand and the chic have always seen games as geeky. However, this view is changing and gaming is fast becoming an acceptable past-time for even the coolest of the cool with Hollywood a-listers advertising games for the Nintendo DS. Games for Apple’s other icon of chic, the Ipod, are already proving popular so perhaps it’s time Apple made a point of the Mac’s gaming abilities. Basilisk II - A great emulator for the old Macs but you still need to find a copy of the OS. 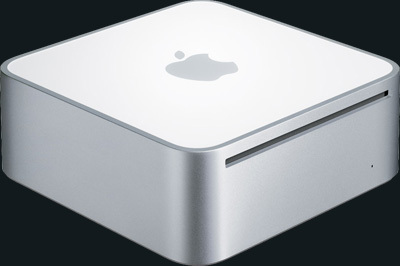 Pear PC - Emulates the Power PC Macs, with this you can run OSX on Windows. Wikipedia's Apple Mac page - Masses of info about the development of the Mac. Apple - What else but the official Apple website.